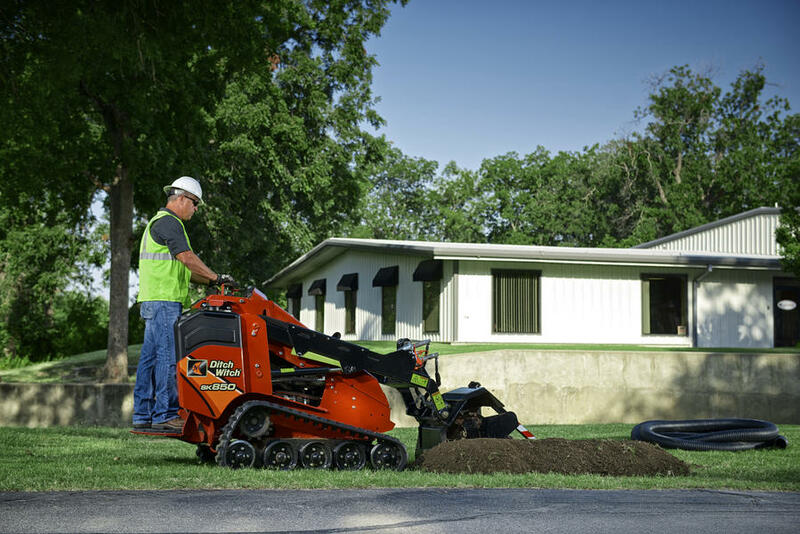 When you know your equipment is built to outperform the competition, you can be sure you’re getting the job done with maximum efficiency. 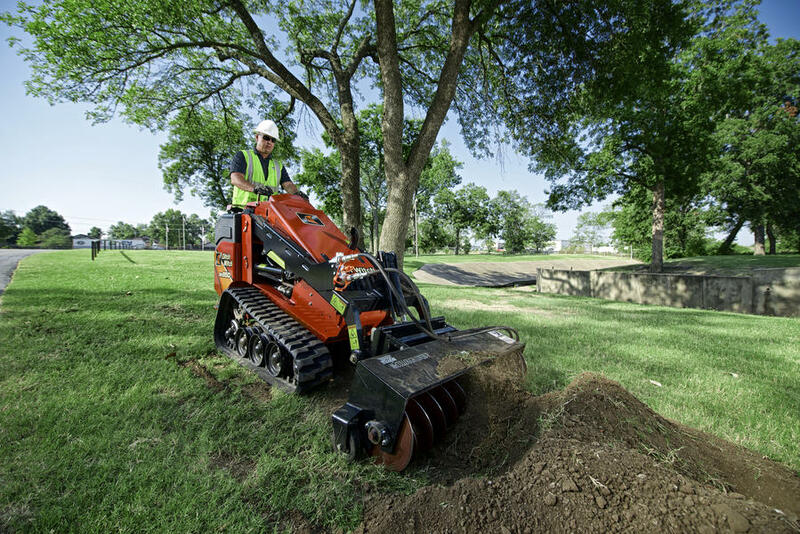 The Ditch Witch SK850 Mini Skid Steer is a powerful, construction-grade workhorse that features industry-best power to the attachment, a stand-on platform that’s larger and higher than the competition’s and an ergonomic operator’s station that puts you in total control. 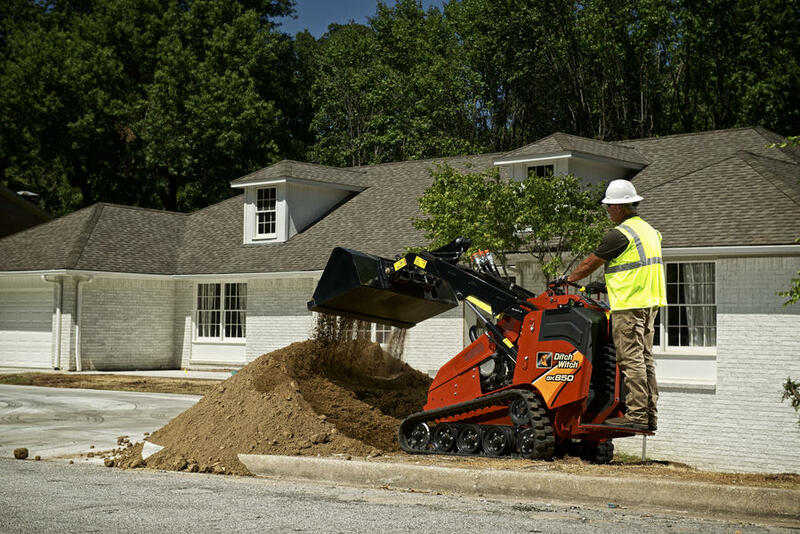 The 37-hp, Tier 4 SK850 is the most comfortable, most productive, most durable mini skid steer in its class. 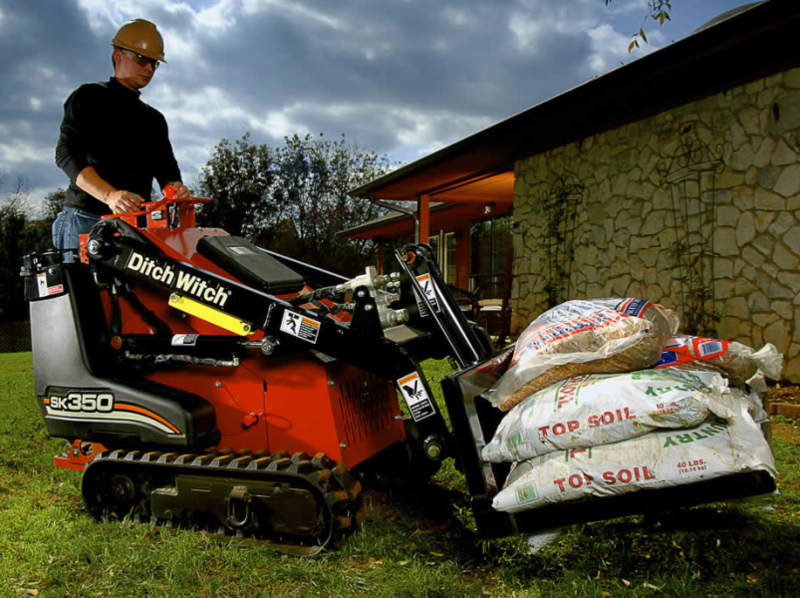 Tier 4 Yanmar® diesel engine with 37 hp provides outstanding power for all machine functions. 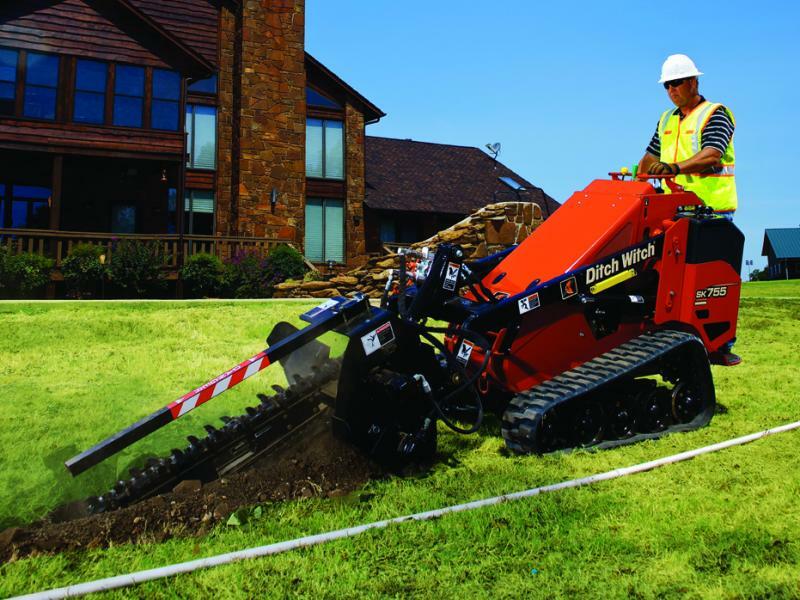 Low-maintenance track-tensioning system features a grease cylinder for easy adjustment and track removal, for increased track life and reduced downtime. High-drive track system has bolt-on sprockets that can be interchanged—an exclusive feature—to provide longer-lasting performance. 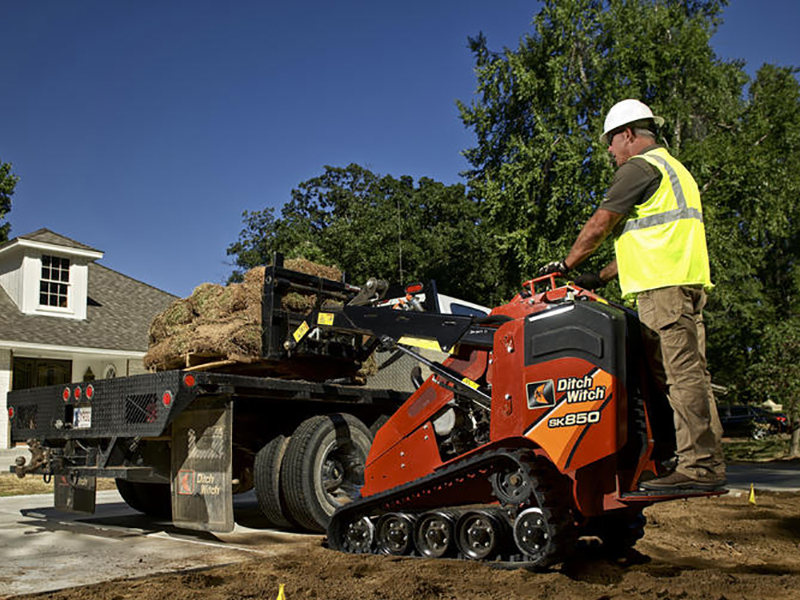 860-lb rated operating capacity and an 83-inch hinge-pin height for more productive loading. 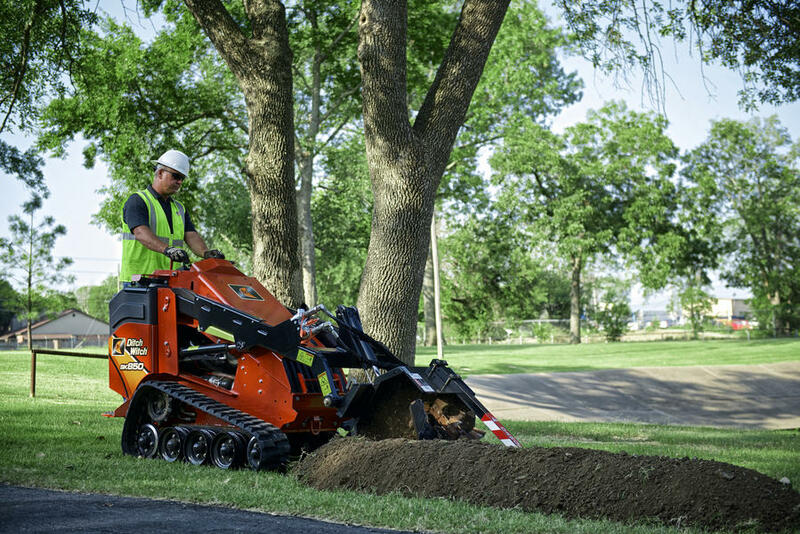 Belt-free design means less maintenance and more uptime. 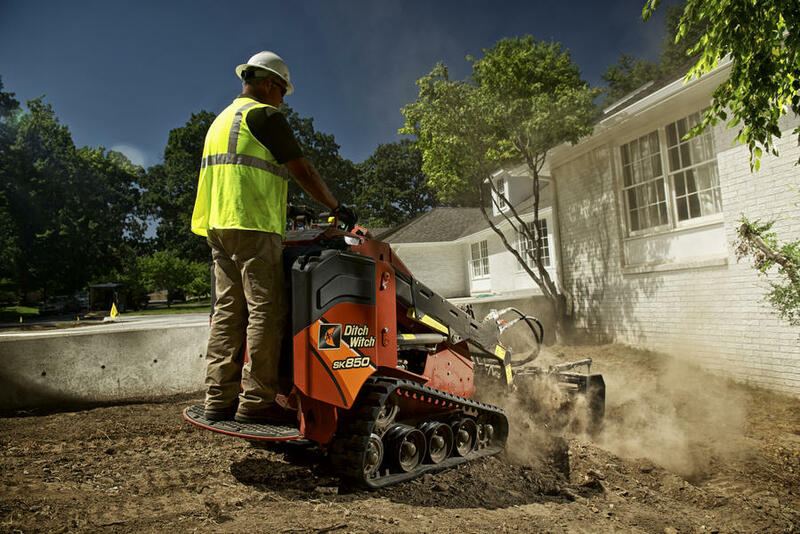 Industry-leading power to the attachment provides unbeatable productivity; accepts dozens of attachments for a wide range of utility, landscaping, plumbing, and other underground construction tasks. Advanced attachment latching system for simple, secure connection of the attachments. 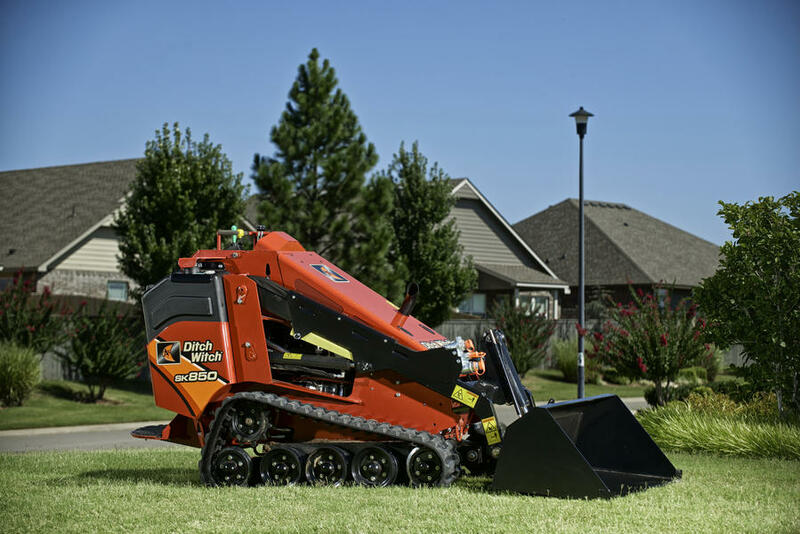 Ergonomic operator’s station has been updated with new, customer-requested features for optimized comfort and efficiency; comes with standard dual-level ground drive controls with an optional joystick available. Standard auto-throttle—incorporated into the new LCD display—reduces engine throttle when you step off the platform; there is no load on the engine, for greater efficiency and safety. Advanced monochrome display mounted in dash displays engine diagnostics and contains standard gauges. When enabled, the standard auto-throttle function reduces engine RPM after a period of sustained inactivity, improving engine performance. 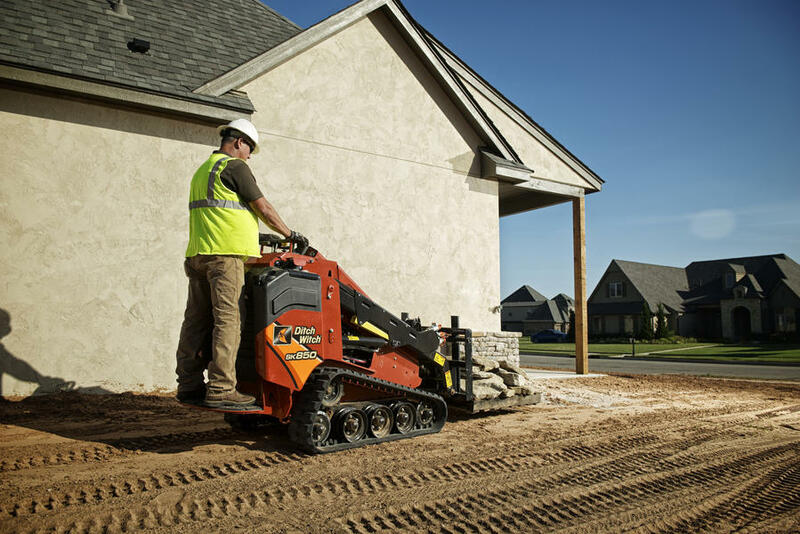 The SK850 is capable of 4.7-mph ground drive speed (in both forward and reverse), enhancing jobsite efficiency and productivity. 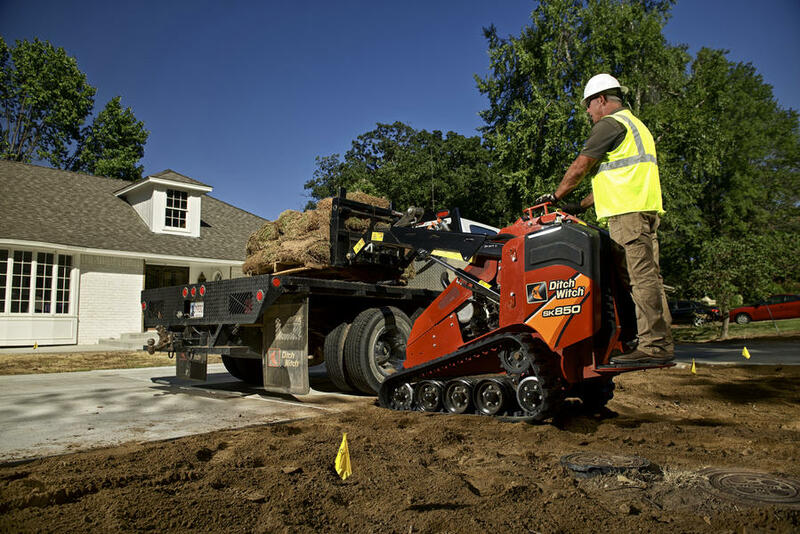 Auxiliary control foot pedal helps you maintain hydraulic flow to the attachment, freeing your hands to control depth and ground speed. 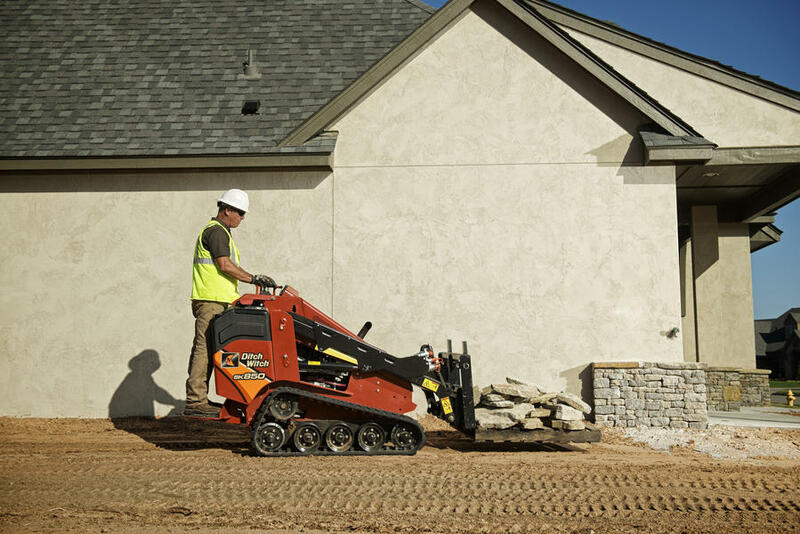 SK850 is a construction-grade unit built for long-lasting, heavy-duty operation. 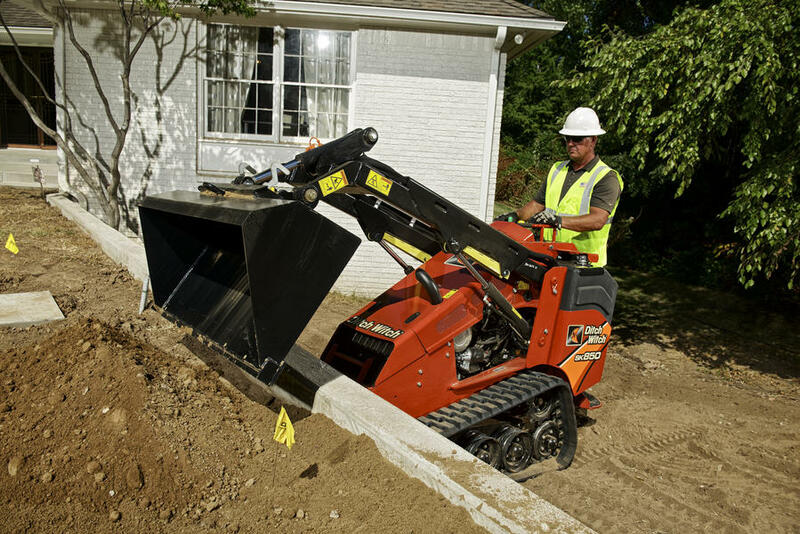 The 74-in2 platform is larger and higher than the competition’s and gives the operator increased comfort and stability while keeping him above the worksite. 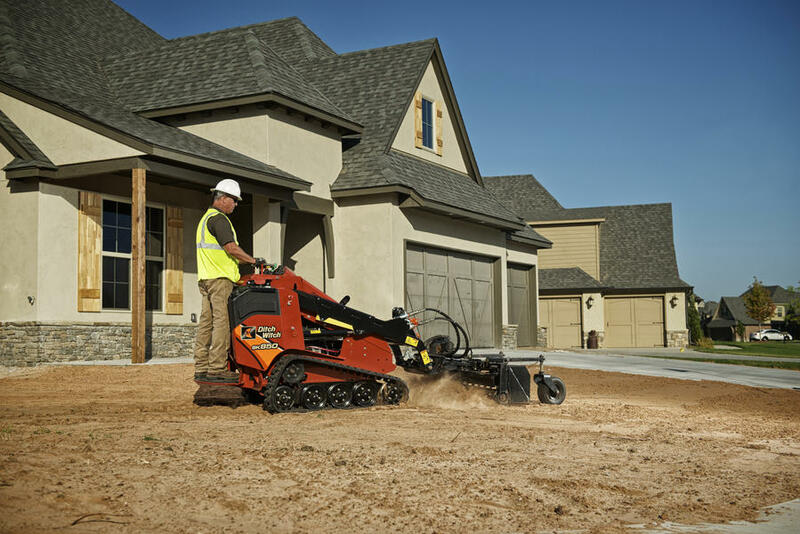 Standard hydraulic brake allows for easy engagement and disengagement. 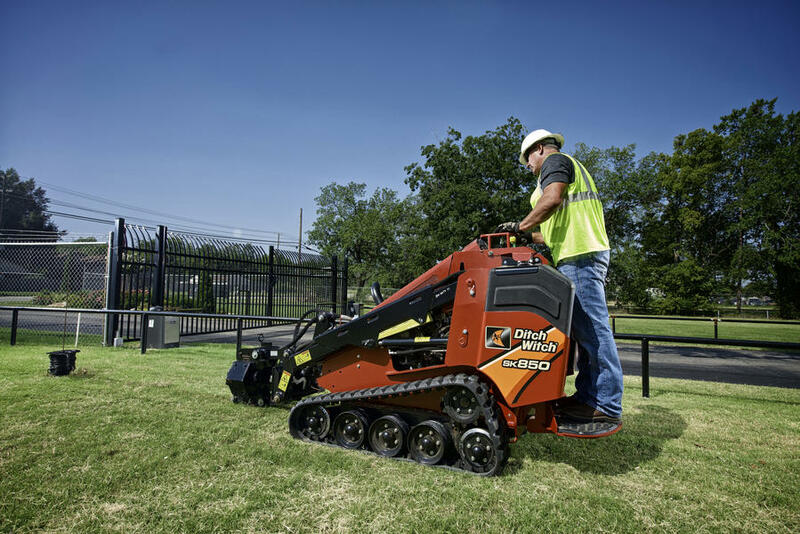 Single-point, lockable fuel and hydraulic fluid tanks for improved security. 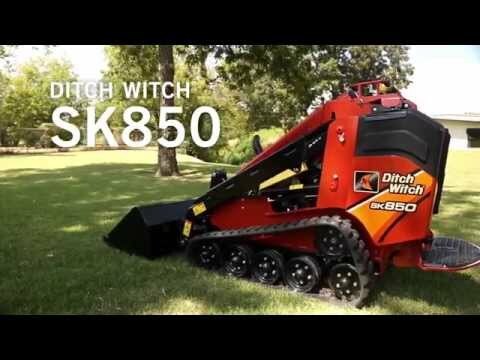 The SK850 comes standard with your choice of 42-inch or 36-inch tracks.